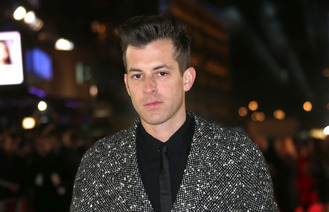 Mark Ronson was attacked by a swarm of killer bees. The 'Uptown Funk' hit-maker was left terrified during an interview with BBC Radio 1's Jameela Jamil at a mansion in Hollywood after the pair were forced to flee the cloud of deadly flying insects, which were attracted to a nearby buffet. Jameela said: "We were doing an interview in this mansion in Hollywood Hills. It was open air and there was a massive feast that we'd laid out for Mark. This huge cloud started coming towards us and we couldn't work out what it was. It turned out to be the biggest swarm of killer bees that I've ever seen. They descended on the buffet." She added: “We had literally seconds to run into the house and get behind the glass. It was the most scared I've ever been. I didn't know what it was and then suddenly I was like, 'Oh my God, it's killer bees! Those are killer bees!' I just ran, food flew everywhere and I destroyed the whole set. It was terrifying. We were both there and we just ran for it." Jameela, 28, added she didn't have time to concern herself with the 39-year-old producer's safety and joked the speed of their swift exit would have been on par with Olympic sprinter Usain Bolt's. She told The Sun newspaper: "Neither of us tried to save each other. It was every man for himself. It was like 500 bees; it was horrible. I would never have left a man down, but we both turned into Usain Bolt then." However, the encounter didn't turn out to be a total disaster after Mark agreed to perform at Why Not People? - a music and events club set up by Jameela for people with disabilities. She explained: "Mark came back within about a minute saying, 'Of course'. I wouldn't be friends with the kind of people that would say no to this. You'd have to be the Devil."